After the harvest, our grapes are brought directly into our cellars with the greatest care, where they will be pressed. The recovered juices will be classified in different batches, depending on their quality and provenance. But because noble rot dehydrates the grapes, the yields are very low, between 10 to 20 hectoliters per hectare. For comparison, a vine can produce more than one bottle of wine, it is only one glass in Sauternes. The grapes will be pressed a first time with pneumatic presses, then with a very old hydraulic press, from which the most concentrated juices will flow. These will then be conveyed by gravity in different refrigerated underground tanks, where they will stay for one night. The next morning, clarification will be done to separate the clear juices from the lees. Then they will be sent into other containers for alcoholic fermentation. The Sauternes production is all about a precise and careful selection. To create wines of remarkable quality, one single requirement: select the best of the best. Our will is translated by a traditional vinification without artifice. Our winemaking methods have not changed much since the beginnings. Our decision: to allow our terroirs give their full expression and act as less as possible to create pure and balanced wines of optimal quality. Our signature is simply revealed in growing the vine in an ideal way, but also in our work in the cellars, and in the choice of our blends. 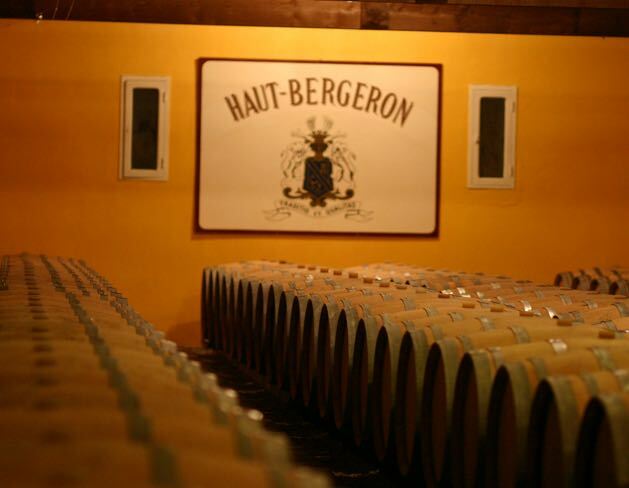 Since 2014, alcoholic fermentation in barrels has been back (15 days to 3 weeks long) for Haut-Bergeron, Farluret and Fleur des Pins Sec. This ancestral technique brings more structure and complexity to the wine, with a more integrated oak. For the rest of the production the vinification is made in a classic way, in thermo-regulated stainless steel tanks. At that stage, density and temperature are checked every day in order to follow the progression of the vinification. The alcoholic fermentation then ends naturally. Once the fermentation is complete, the juices becomes wines will be racked (cleared), and back to French oak barrels to begin their ageing. They will stay there for 12 to 22 months depending on their quality and strength. Ageing is a stage which requires patience and support. We remain close to our barrels, making frequent tastings to monitor their evolution. We try to influence the wine as less as possible. 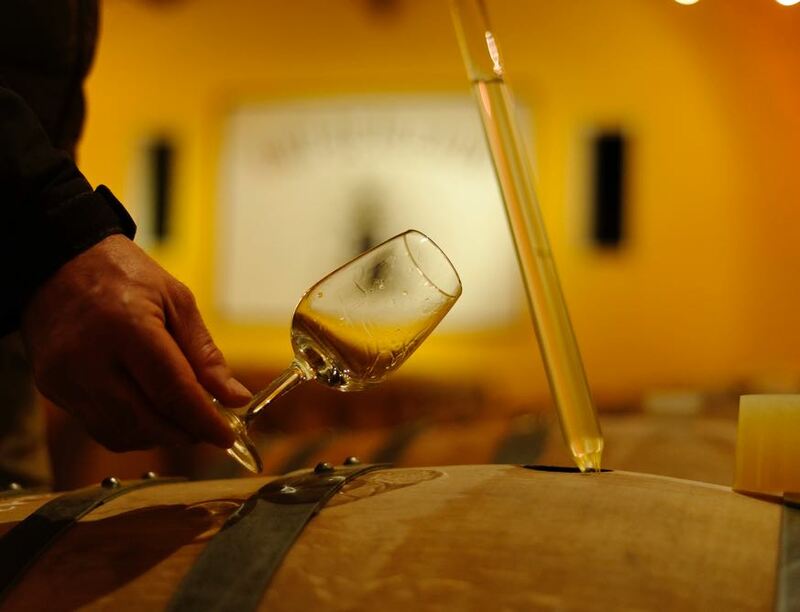 The rackings are adapted to the typicity of the wine and a regular topping up (the quantity of wine in the barrels is adjusted) is realized in order to limit the wine oxydation. During the ageing stage, we work in harmony with the lunar cycles and also avoid any manipulation of the wines on low atmospheric pressure days. At the end of the ageing process, each original batch, will be tasted in order to design the final blend. When blending, we aim for the perfect combination of richness and freshness, for an ideal balance. But above all, our ambition is to create wines in our image, singular wines, reflections of our family, which will provide pleasure and emotion. Bottling and labeling is done by ourselves and these golden bottles will be kept in our cellars until they are sold.